The disbanding of a key agency could threaten conservation efforts. In 2013, then Indonesian president Susilo Bambang Yudhoyono established the National REDD+ Agency, the world’s first executive-level agency specially designated to tackle Indonesia’s myriad forestry and conservation issues. The agency was lauded at home and abroad as both a landmark achievement and a sign of hope for a country considered a poster child for environmental degradation. A little more than a year later, on January 21, 2015, the once-independent organization has effectively ceased to exist after being merged with Indonesia’s Environment and Forestry Ministry. The move has left many wondering what the future will hold for Indonesia’s conservation efforts, as well as international coordination on combatting climate change. The institution was founded as a result of four years of negotiations. 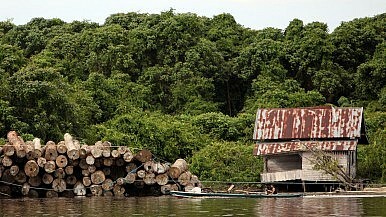 It was funded by the Norwegian government under the United Nations-backed Reducing Emissions from Deforestation and forest Degradation (REDD+) scheme in order to clarify land administration, review the legality of licensing and concessions, secure community tenure rights and combat the extractive and exploitative interests that have often plagued Indonesia’s forestry and land-use sectors. While REDD+ has been marked by controversy in countries like Panama and Guyana and has faced hefty challenges in Brazil and the Democratic Republic of Congo, in Indonesia, REDD+ appeared to have paved the way for some long-awaited reforms. The agency led efforts to implement a historic Constitutional Court ruling that essentially annulled state control of customary forests in favor of indigenous peoples, and spearheaded bold initiatives to protect precious peatlands and forests in some of the country’s most at-risk areas. Indonesia’s progress in operationalizing REDD+ even earned Yudhoyono a Champion of the Planet designation from the United Nations Environment Program (UNEP). “The REDD+ agency has embarked on… [a] campaign to reshape the REDD+ agenda with some successes — it is not only about carbon emissions, but also about giving equal attention to the real drivers and consequence bearers of deforestation and misuse of land,” Heru said. Regardless, Yudhoyono was considered by some to be a lame duck president, and his 10 years in office were mostly characterized by sluggish bureaucracy reform and a general stasis — especially with regard to environmental reform. Indonesia’s assault on its own forests chugged along under his watch, leading to the country’s deforestation rate passing that of Brazil’s last year. Enter newly elected president Joko “Jokowi” Widodo, a man largely viewed as a populist and a breath of fresh air in a country historically mired in corruption and kleptocracy. Jokowi, who studied forestry in university, has decided to absorb REDD+ into Indonesia’s new super-ministry in an attempt to undertake an ambitious reform campaign while dismantling institutions seen as unnecessary. But eliminating this “shadow structure” has highlighted just how shadowy some of the details surrounding the decision are. The presidential decree does not specifically stipulate how this merger will be handled or how REDD+’s previous programs will be continued. Nor is it clear how coordination between Indonesia and international partners such as Norway will continue in the future. “The merger of REDD+ and [the Environment and Forestry] is disquieting, [especially] if the [ministry] applies the paradigm of the old order,” Abdon Nababan, the secretary-General of the Indigenous Peoples’ Alliance of the Archipelago (AMAN), recently tweeted. Environment and Forestry Ministry restructuring committee head San Afri Awang told the Jakarta Post that select members of the now-inoperative REDD+ agency would be held on as consultants. He also assured that international partners have nothing to worry about and that Indonesia would still be participating in this year’s UN Climate Change Conference in Paris. Indonesia has, to an extent, decided that it will effectively handle what it considers a domestic issue (albeit with huge global consequences) on its own terms. As such, it remains to be seen if the country’s government will have the capacity to continue REDD+’s ambitious programs while undertaking its own lofty structural reforms simultaneously. What is important now, according to Heru, is that the new ministry’s initiatives are properly monitored and its functions remain transparent. “A way of working together among stakeholders — the government, the private sector, communities, scientific communities, media — [must be] established and practiced with respect and a clearly shared direction,” he said. Ethan Harfenist is a freelance journalist. He has written widely about Indonesia for several publications including The Jakarta Globe and VICE News.